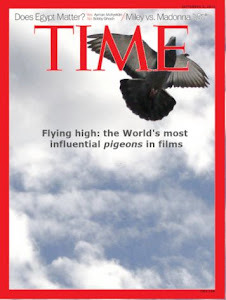 This film contains one of the most villainous and violent acts against pigeons that I have seen. 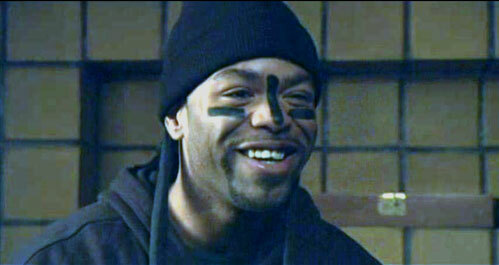 In the scene, innocent pigeons are used as explosive devices for orchestrating a cruel revenge against Dean Carl Cain. The evil mind behind this operation is Mr. Silas (Method Man), a Harvard student well known for being very fond of Botany, more specifically in one plant type that I will omit because it is not related to the violent acts that I'm depicting here. Silas and Dean Carl Cain have a bad relationship, so Silas planned to pay the Dean back in his own special way. In this part of the film, Silas and two chums get into the Dean's office and scatter a mix of birdseeds and laxatives. Then, Silas opens a window allowing a flock of pigeon to come in and start a unexpected feast of seeds. The poor pigeons are unaware of the dangerous side effects of the food. After a while, the laxatives provoke a voilent attack of diarrhea that makes them bloat and then.... suddenly they start to blow up, like popcorn in a pan, covering the entire office with a nasty mixture of feathers and droppings. Very funny, Mr. Silas, very funny... but don't forget that pigeons always hold the grudge. One day you'll receive some poo and that will be no coincidence. The complete scene can be seen here. Mr. Silas smiles while he reveals his evil plan. Happy pigeons having a birdfood feast in the Dean's office. Snapshot of a pigeon just before blowing up. 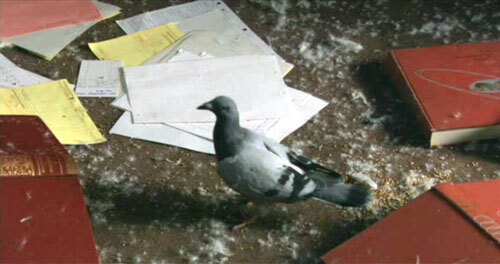 Pigeon activity: They are street pigeons that enter in an apartment in search of bird seeds. Pigeons are usually shy and they don't like to enter in houses. 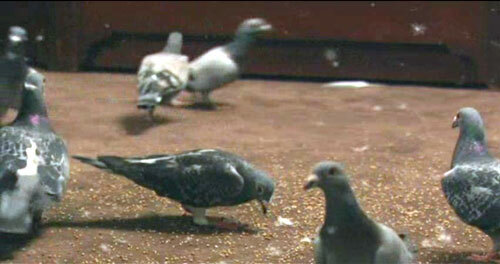 However, this kind of pigeon behaviour is frequently employed in many films -like this one. The special effects of the scene are remarkable. 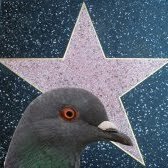 Instead of using computer animation they just cut the scene, and replace the original pigeon with an explosive reproduction which blows up very realistically. Symbolism: This scene lacks of symbolism. The pigeons are common pigeons that avidly eat all the food that they find. Relevance: Medium. 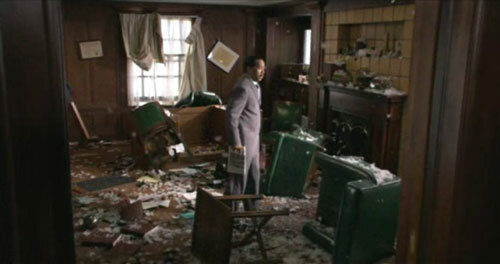 With this action the Dean's office is completely devastated. This event contributes to deteriorating further the bad relationship between the Dean and the main characters of the film. Training level: Medium. The pigeons fly into the apartment in a non-natural way. It is evident that they are thrown in from outside. However, when they are in the apartment they behave pretty well eating all the seeds with great excitement.